Whether you’re a fan of white collar Zorn or the bare-chested barbarian we all know and love, Funko has a figure for you! 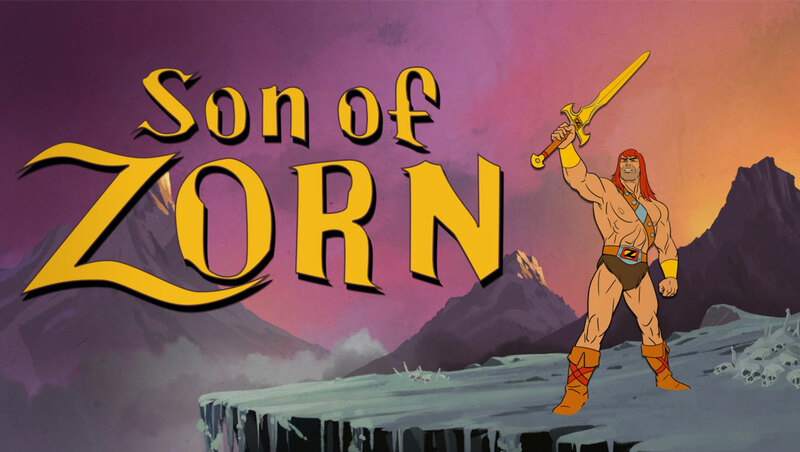 The hilarious television series Son of Zorn just started airing earlier this year and is already building itself quite the fan base. The ridiculous mix of animation and live-action really sold it for me, and I haven’t yet been disappointed (though I have cringed more than a couple times!). So, if you’ve become a fan of Son of Zorn and you’re an action figure collector, we have some fun and actually affordable figures to chat about today. What type of action figures did Funko release? How big are the Masters of the Universe style Zorn figures? According to the packaging, Zorn will stand just about 5.5 inches (13.97 cm) regardless of wardrobe choices. Yes! Both Zorn and Office Zorn look like they will have 5 or 6 points of articulation (head, arms, legs, maybe torso) so just the basics. What do the Son of Zorn action figures look like? The OG Zorn in his Zephyria get up is a short, stocky figure, very top heavy. Naturally, it features his red hair and ridiculous black eyebrows, and even features 5 ‘o’ clock shadow and crazy muscle definition. Zorn’s legs are bent like he’s in high school basketball practice, but I think the whole point of that is to balance out the top-heaviness so he doesn’t tip over every time you bump the shelf. 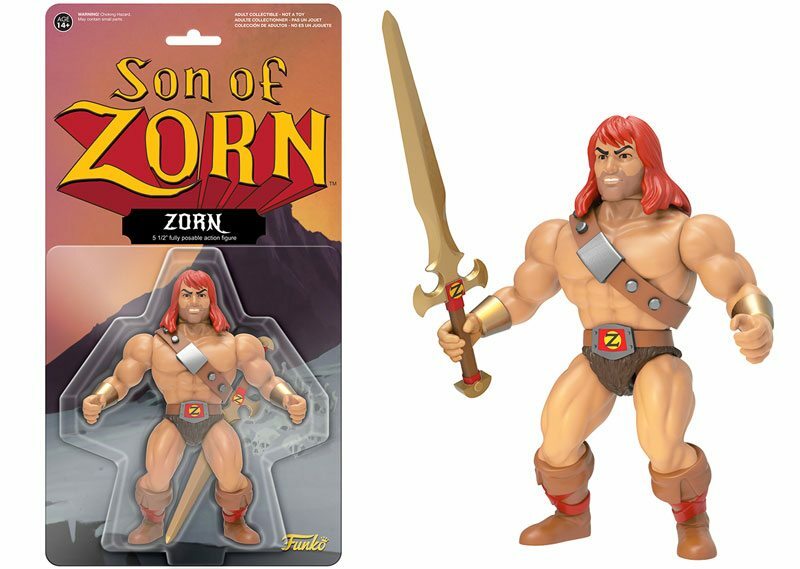 Zorn also comes with his trusty gigantic gold broadsword with the red and yellow Z that Zorn has on his belt buckle. The sword looks like it can easily fit into both hands and will probably fit into the sheath he has on his back. 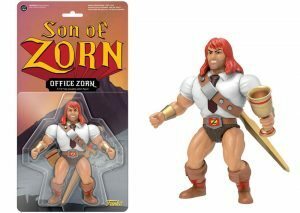 The Office Zorn figure is identical to the regular Zorn, except he comes wearing his ill-fitting white colored T-shirt and bulky maroon clip on tie, and comes with not only the gold sword, but a gold chalice with red detailing on the rim and stem. How much will the Masters of the Universe style figures cost? 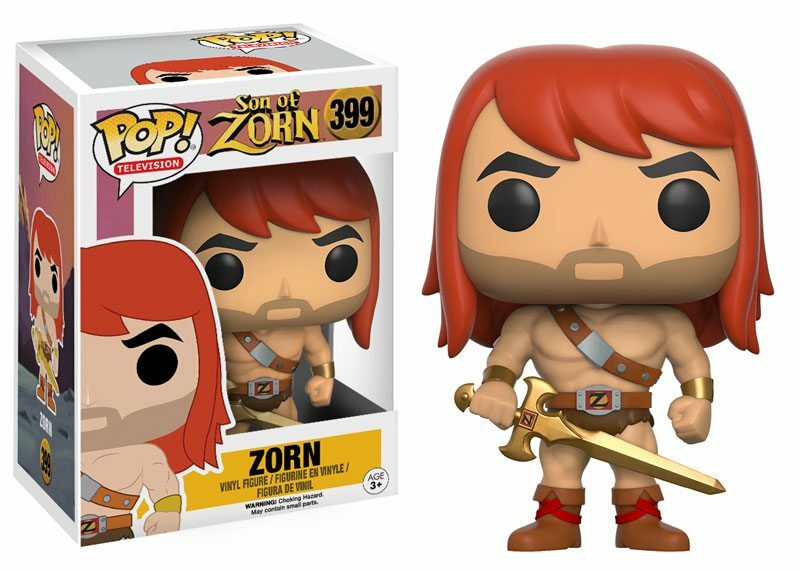 How big are the Son of Zorn Pop! Vinyl figures? Well, generally Pop! figures are around the 3.75 inch (9.5 cm) mark, but don’t take my word on it! Zorn might be one of those weirdly tall ones and I’m not very familiar with Pop! figures. What variations do the Pop! figures have? Well, the Pop! TV line of figures invested in 3 variations: the regular Zorn holding his gold sword, Office Attire Zorn with his sword on his back holding a bottle of Tabasco hot sauce, and Office Attire Zorn with his sword on his back holding the fancy gold and red chalice. How much will the Son of Zorn Pop! figures cost? As with most Funko Pop! figures, these Zorn ones (which will also be available in February next year) will be priced in the $10 – 12 range. You can preorder the traditional Zorn and Hot Sauce Office Zorn Pops over at Entertainment Earth, for $10.99 each, though you’ll have to brave the doors of Hot Topic if you want to score one of the Son of Zorn chalice holding Pop figures. 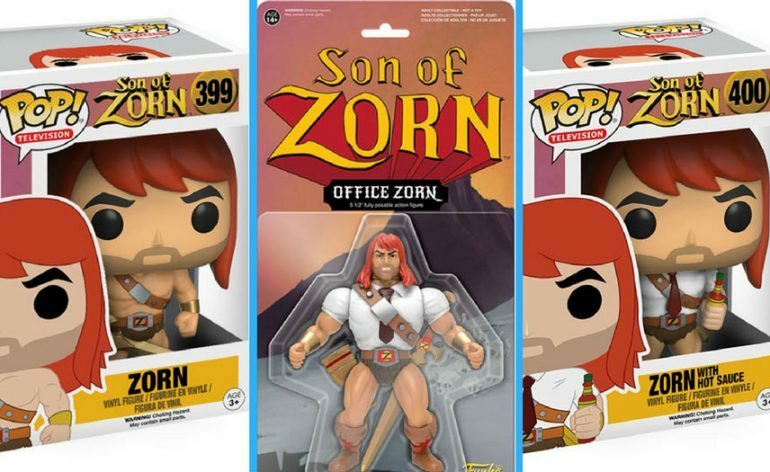 Check out the gallery and then comment below and let us know which of the Son of Zorn action figures looks cooler!